Filipp Kirkorov is a bright and unique personality in Russian show business. He is a Russian singer, producer and actor. The boy was born on April 30, 1967 in Varna into a family of Bulgarian singer of Armenian descent Bedros Kirkorov and Russian mother Victoria Likhacheva. Already at the age of 5, the future star went on tour with his parents. In 1984, Filipp entered the Gnessin State Musical College. His creative career began in 1985. Filipp sang a song Alyosha in Bulgarian in the TV program. In 1987 Kirkorov worked as a musician in Leningrad Music Hall, directed by Ilya Rachlin. Then he met poet Ilya Reznik, who helped Kirkorov to conquer Olympus of Russian show business. In 1988 Filipp met Alla Pugacheva and received an invitation to participate in her Christmas Meetings. By that time, Kirkorov had already graduated from the School of Music and had performed in Yalta with his first contest. Also he made the first music video for the song Carmen and sang for free in Mongolia for Soviet soldiers. Yulia Volkova is a Russian singer, ex-soloist of the pop group t.A.T.u. Pretty girl was born on February 20, 1985 in Moscow. At the age of 7 she entered the children’s music school. You know, Yulia performed as a part of children’s vocal-instrumental ensemble Neposedy. It was during her time in Neposedy that Yulia first met Lena Katina. By the way, Russian stars Vlad Topalov, Sergey Lazarev, Yulia Malinovskaya and Nastya Zadorozhnaya also were members of Neposedy. When Yulia was a school girl she starred in the children’s newsreel Jumble. In 1999, Volkova and Katina became two halves of the scandalous and often controversial duo t.A.T.u., created by Ivan Shapovalov and composer Alexander Voitinsky. The girls recorded English-language and Russian-language albums, performed in Russia and abroad. Their debut international single All The Things She Said, released in 2002, was a worldwide hit. Single All About Us topped the charts in Europe and went platinum. t.A.T.u. became the first group ever to get the IFPI Europe platinum award for the same album in two different languages. 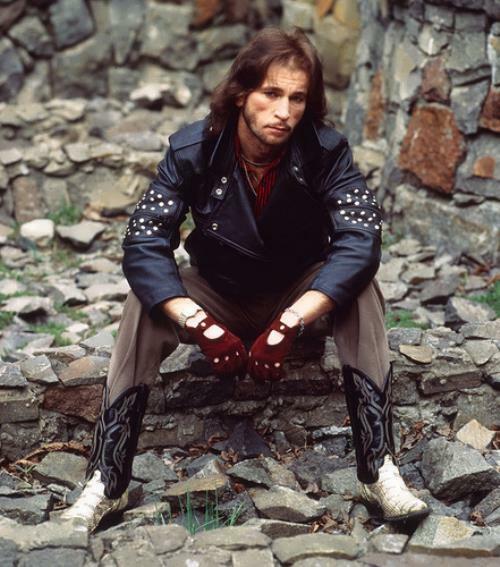 Talented poet and musician Igor Talkov was born on November 4, 1956 in a poor family. His parents met in prison. The singer came from a noble family (his uncles served as officers of the tsarist army), and the father and the mother of the musician were repressed. They met in the village of Orlov-Rozovo, Kemerovo region. Their first son Vladimir (Igor’s elder brother) was born there. After rehabilitation, family was sent to Schekino (Tula region) and they weren’t allowed to move somewhere. So, Schekino became the birthplace of the singer, rock musician, poet and actor. Talkov began to write poems studying in elementary school. He was a self-taught musician, played the guitar, the piano, the bass guitar, the violin and the drums. It is interesting that he didn’t play his most beloved musical instrument, saxophone, but adored listening to it. He was a very open and sociable person, but he hadn’t real friends. His life was short but very intense – as if anticipating an early death, he was always in a hurry, wanted to make as much as possible. Victoria Tolstoy is a Swedish jazz singer. She is known under the pseudonym Lady Jazz. By the way, she is one of the most popular jazz performers in Scandinavia. During her career, she released 8 albums. In her works she repeatedly turns to classical Russian composers, such as Tchaikovsky, Borodin, Rachmaninov, and also Vysotsky. Louise Victoria Tolstoy was born on July 29, 1974 in Sigtuna, Sweden. She is the daughter of musician Erik Kjellberg and great-great-granddaughter of the famous Russian writer Lev Tolstoy. Victoria’s father was a professor of music at the University of Uppsala. When the future singer was 16 years old, her father played jazz on the piano. It was Lover Man by the great Billie Holiday. The girl realized that jazz was her destiny. The singer debuted in 1994 with the album Smile, Love and Spice, which was recorded in co-authorship with her father. After that, Tolstoy quickly became popular in Sweden. In 1996, she recorded her second album Too Loved and received an invitation to cooperate with the American jazz studio Blue Note. By the way, Victoria became the first Swedish singer who worked with this famous company. But only one album with a spectacular name White Russian was realized (producer Esbjern Svensson). 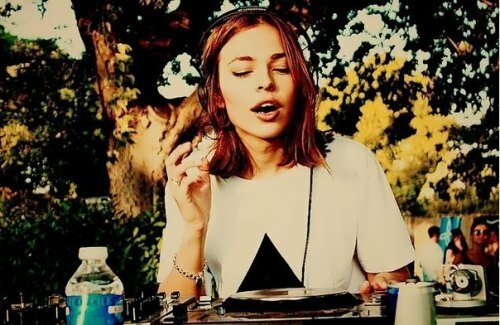 Nina Kraviz is one of the best Russian DJs, talented singer and producer. She became the first Russian DJ, who performed at the world famous festival Sonar. Pretty girl spent her childhood in the Siberian city of Irkutsk and then moved to Moscow. Now she plays the music at the best music clubs of the capital of Russia. You know, Nina is often invited to play at clubs and events worldwide. By the way, Kraviz was named the most beautiful DJ in Moscow by Harper’s Bazzar magazine. Also she was included in the list of 50 beautiful people in Moscow by Time Out magazine. Moreover, she performed at a private party in honor of the main video artist Matthew Barney, played with Asia Argento, shared the stage with Grace Jones and Nene Cherry, as well as performed before the legendary Los Hermanos and Farley Jackmaster Funk. In 2005, Nina’s first song together with Golden Boy, known for his works with Miss Kittin, was recorded. 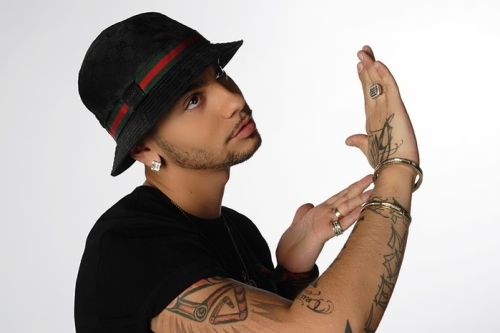 Timati is a popular Russian rapper, singer-songwriter, music producer and entrepreneur. He was a participant of the TV project Star Factory 4. In 2014, he received the title of Honored Artist of the Chechen Republic. Timur Yunusov (his real name) was born on August 15, 1983 in Moscow. He has younger brother Artyom. The boy studied at a music school, where he played the violin for 4 years. At the age of 13 Timur went to Los Angeles and spent there 3 years. The father hoped that his son showed any interest in learning. But expectations were broken like crystal. Timur abandoned his studies and began attending nightclubs. The future rapper decided to join the show business. At first Yunusov was engaged in breakdance, then he created a rap group VIP77 together with his friend. In 2000, Timur made his debut on television in the music video Party by rapper Detsl. Four years later the boy became a participant of the TV project Star Factory. In the same period, Anastasia Kochetkova and Timur created the group Banda. Their music video for the song Heavens Are Crying (Plachut Nebesa) became popular. In 2005, the band released their debut album New People. Dima Bilan is a famous Russian actor and singer-songwriter. He took the second place at the Eurovision Song Contest 2006 with the song Never Let You Go. And in 2008 Dima became the first Russian singer who won the Eurovision Song Contest. He represented Russia in Belgrade with the song Believe. You know, Bilan is Honored Artist of Kabardino-Balkaria (2006), Honored Artist of Chechnya (2007), Honored Artist of Ingushetia (2007) and People’s Artist of Kabardino-Balkaria (2008). By the way, he has had several Russian number one hit records. Viktor Belan (his real name) was born on December 24, 1981 in Ust-Dzheguta, Karachay–Cherkessia. In 1999 Belan came to Moscow to take part in the festival Chunga-Changa, where great Russian singer Joseph Kobzon handed him a diploma. A year later, the music video for the song Autumn (producer Elena Kahn) was filmed on the Gulf of Finland. It was the first Dima’s studio song. The career of the singer began when he met the producer Yuri Aizenshpis. It was he who advised the boy to take pseudonym Dima Bilan. To tell the truth, in June 2008 the singer changed his official name to Dima Bilan, because of the conflict with his producer Yuri Aisenshpitz’s heirs, who claimed the rights on this stage name. In 2012 he started a new project, taking his native name Victor Belan as a new pseudonym.